When you get an invitation to visit a cookie shop to pick out any six to try, you say yes, even if said cookie shop is not especially near your office or home. Cookies are totally worth driving for, right? So with that in mind, I headed over to Ali's new(ish) location by Perimeter Mall. Ali's has had a location near my childhood home in Marietta for thirty years, although it wasn't always called Ali's. I can't say that I ever go to cookie shops, but I think I may be missing out! With more than 20 flavors to choose from, I had my work cut out for me! My dessert default is always chocolate, so I skipped past the tasty looking snickerdoodles and the "healthy" Skinnie Minnie in favor of such delights as Chocolate Salted Caramel (chocolate filling with creamy salted caramel topping), the Turtle with pecans and caramel, and George Washington’s Revenge (dried cherries, toffee bits, semi-sweet chocolate chunks and oatmeal). Ali's makes everything from scratch with high end ingredients like Madagascar vanilla and Callebaut and Guittard chocolates. The cookies are even kosher, so you've got that going for you, which is nice. 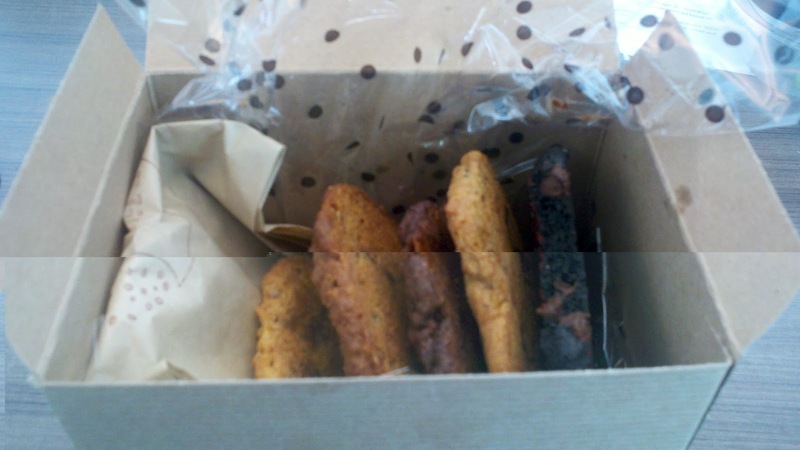 Let me tell you how hard it is to have 6 delectable looking fresh cookies sitting next to you all afternoon - torture! I allowed myself just a nibble of each of them that afternoon, but surprise surprise, 2 days later, the Mr. and I had made short work of all 6 cookies. Let me say for the record, that I would like to marry the salted caramel cookie. It's so rich and gooey and every good thing a cookie should be. I tried a fruity peach cookie for good measure, and although good, I was all about chocolatey ones. George Washington's Revenge was the best of both worlds with it's combination of cherry and chocolate. Yum, I'm getting hungry just thinking of them! I didn't try them but the cookie cakes look rather epic. Cookie cake is always good, but these have rather elaborate decorations (imagine your face on a cookie cake), so they'd make for a great special occasion treat. Want to try them for yourself? Head to either location on Opening Ceremonies Day - Friday, July 27, and celebrate the start of the Olympics by selecting a free cookie among five Olympic ring inspired flavors. Choose from apple pie, George Washington’s revenge, M&M, toffee crunch and sugar. M&M, toffee crunch and sugar flavors will be specially decorated in red, white and blue. Customers are encouraged to stop by early as cookies may go quickly and are limited to one per person while supplies last. The Ali’s Cookies Dunwoody shop is located at 4511 Olde Perimeter Way, Suite 300, Dunwoody, Ga., 30346 (770.350.2547). Regular store hours are Monday through Thursday 10 a.m. to 9 p.m., Friday 10 a.m. to 7:30 p.m., and Sunday 11 a.m. to 5 p.m. and closed on Saturdays. 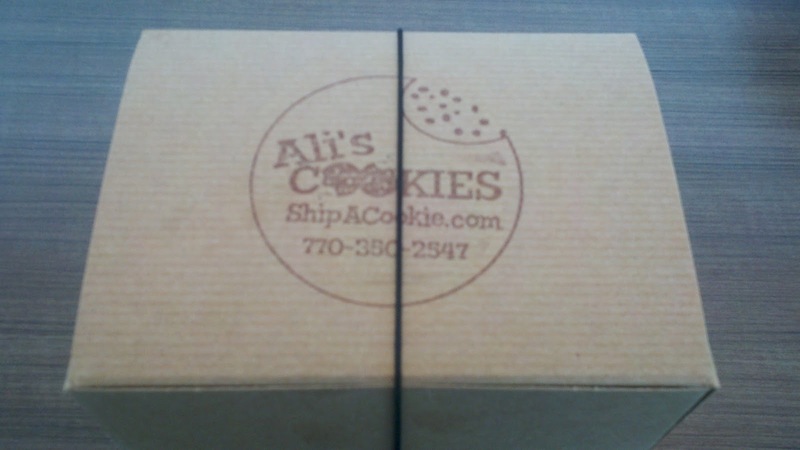 Ali’s Cookies Marietta is located at 1255-34 Johnson Ferry Rd., Marietta, GA 30068 (770.971.8566) and is open Monday through Thursday from 10 a.m. to 6 p.m., on Friday from 10 a.m. – 5:00 p.m. and Sunday from 10 a.m. to 2 p.m. and closed on Saturdays.